Established in 2006 under the High Patronage of H.S.H. Prince Albert II of Monaco, the ultra-glamorous Amber Lounge Fashion Show is a prestigious charity event. For those who manage to secure a ticket, it represents the most anticipated event in the F1 social calendar. Accompanied by grid girls and supermodels, a host of F1 drivers swap the cockpit for the catwalk to showcase collections from international labels such as Hervé Léger, Jimmy Choo and La Perla. Numerous high profile stars are joined by 250 international journalists, with an equally impressive line-up of live entertainment adding to the breath-taking sense of occasion. Its success has driven the creation of a second, equally stunning event at the Singapore Grand Prix. Beyond the style, the substance. 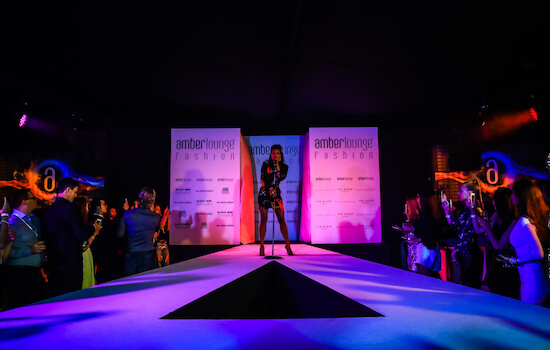 To date, Amber Lounge Fashion has raised more than €3.7 million for organisations including the Special Olympics, the Elton John AIDS Foundation and the Nelson Mandela Children’s Fund.